The last day of the tournament promised to be very exciting, and it's was! With an exhilarating set of finals. 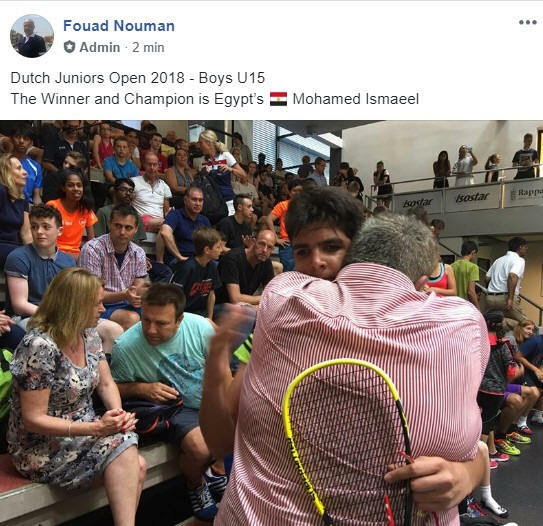 The finals of the Under 13 untill Under 19 were all scheduled on the livestream court, but because players were so evenly levelled, the tournament ended 90 minutes later than scheduled. Alina Bushma came short in the G19 final against her compatriot Nadiia Usenko (PSA 92) and the only #1 seed to win today, in an intense battle in four games. This was just the second title this season after winning the Belgian Open earlier this year. Lewis Anderson claimed his first tournament in victory in B19 against the second seed Ivan Perez, who had to cancel his early flight with getting to the final unexpectedly. Both players gave their all and it showed on court. Supported by a lot of fans Lewis managed to pull out a 3-1 victory. 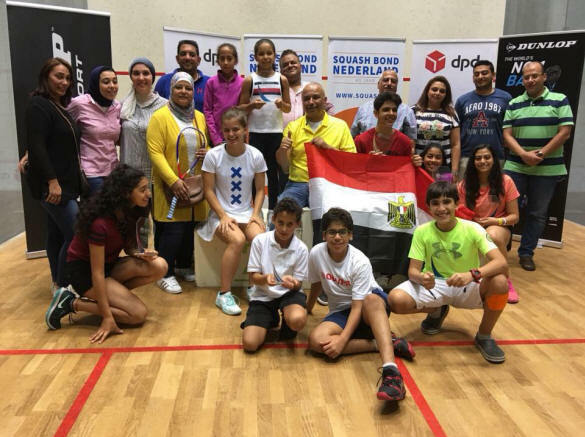 Egypt as ever gets back home with 5 of the 6 titles from U11 to U15, making that 5 gold, 2 silver and 1 bronze. The organisation likes to thank all players, coaches, parents and supporters. Special thanks to the sponsors, and tournament organisation. Day Three was a big day for many players. Semi-finals day promised to be a day with very close matches. Close to the end of the tournament anything can happen and this is the stage where nobody likes to lose. 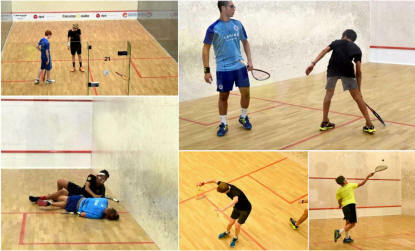 Maxwel Velazquez had a tough match against the popular englishman Jack Mitterer. Despite the loud cheering from the english supporters, Jack could not manage to pull out a win. After four close games it was Max who came out as the Velazquez will play Indian Neel Joshi, who played a very solid match against “Ollie” Green, by winning in straight games. Today was an exciting day, the atmosphere was getting more intense towards the quarter final matches. 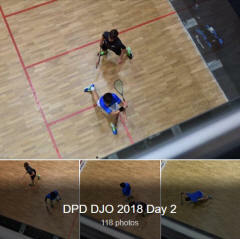 The stakes were high, a place in the semi-final of the prestigious DPD Dutch Junior Open 2018. We saw blood, sweat, tears, happiness, spectacular rallies and numerous dives where even the “Canonball” Rodrigues could learn something from. Dutch Glory in de Girls under 19 as Fleur Maas wins her quarterfinal 11-1 11-9 11-1 against the rising star from Italy Cristina Tartarone. In the Semi-final will play against Alina Bushma, who prevented an all Dutch semi-final by beating Gabi Fritsche with 3-0. 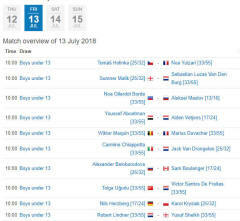 In the Boys Under 13 Luhann Groenewald is continuing his winning streak and reached the semi-final by beating the frenchman Lilo Toussaint in straight games. He will play against Abdallah Eissa from England who beat Indian player Vivaan Shah in four close games. 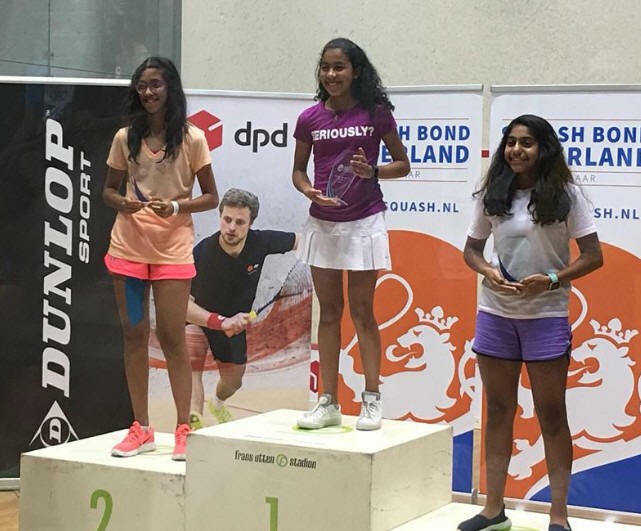 The DPD Dutch Junior Open traditionally the last tournament of the ESF Junior Circuit, also known as the Grand Final, has begun. For the first time in thirty one years there is a under 11 category. With 17 boys and 14 girls represented it looks as though this will be a permanent category for the future. There were no great upsets on day one, although a few must be mentioned. In the Girls under 17 Kiera Marshall from England beat 3/4 seed Ninon Lemarchand. 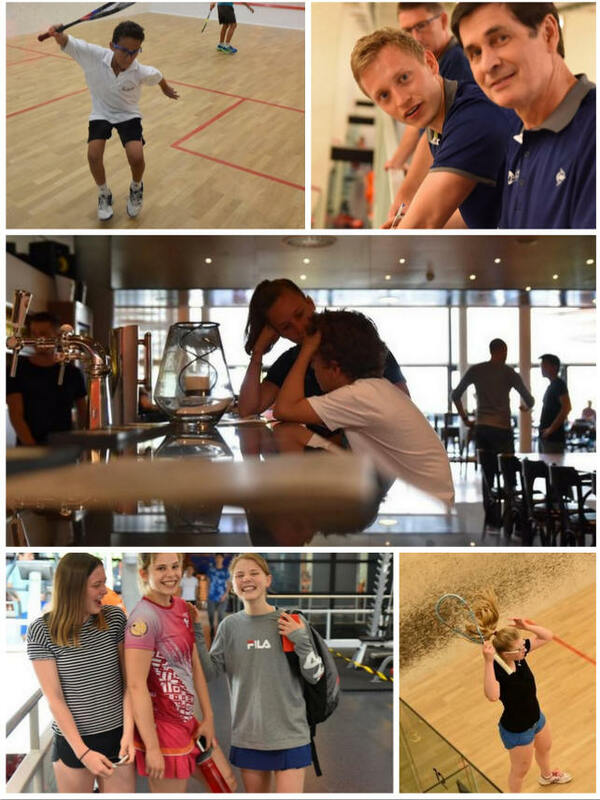 In the Boys' U19 Hungarian top seed seed Peter Devald lost in a 50 minute five-setter against Englishman Carlton Oldham, and Lewis Anderson beat Canadian 3/4 seed Dominic Wren in three close three games.